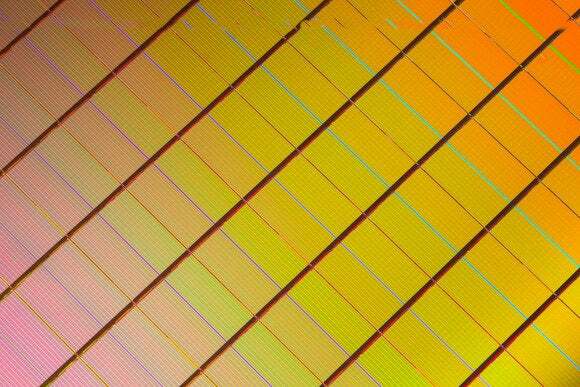 Intel, Micron announce new 3D XPoint memory type that's 1,000 times faster than NAND, really. You heard right: The new 3D Xpoint memory will perform 1,001 times faster and last 1,001 times longer than today's NAND memory. And it could be out as soon as next year. 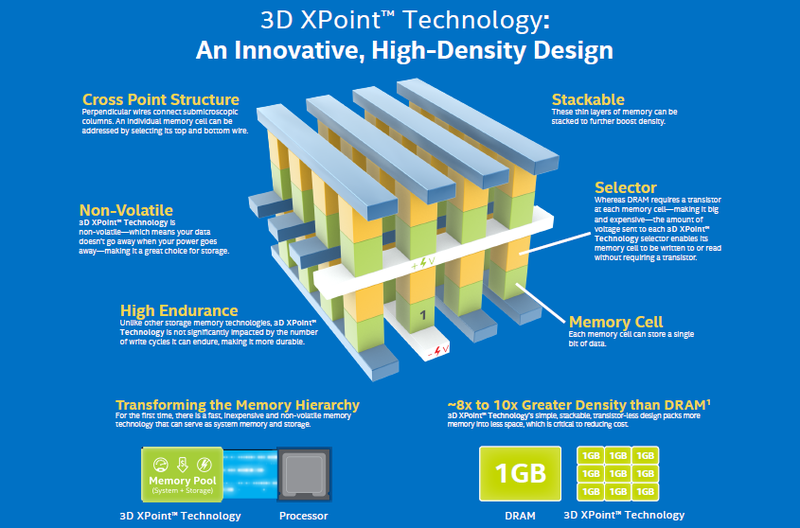 A new memory type called 3D XPoint will offer 1,000 times the performance and endurance of today’s NAND, Intel and Micron announced Tuesday morning. The two silicon companies described 3D XPoint as the biggest innovation in more than 25 years, one that will enable new types of modes of computing. New 3DX Point memory can act as main memory or storage. Both companies cautioned people not to think of 3D XPoint as just faster NAND, but something truly new. Because of its speed, it’s possible it can function as main memory as well as storage because it’s non-volatile. The new memory could potentially be used as the sole memory technology in a computer or in conjunction with traditional DRAM as well. 3DX Point isn’t to be confused with the joined 3D NAND both announced in May either. That really just extended the density of NAND. Cooke said to think of 3D XPoint as a screen door with incredibly fast switches at each point where the wires cross each other. Although we’re very early in the stages of 3D XPoint’s development, both hinted it could see the light of day as early as next year. 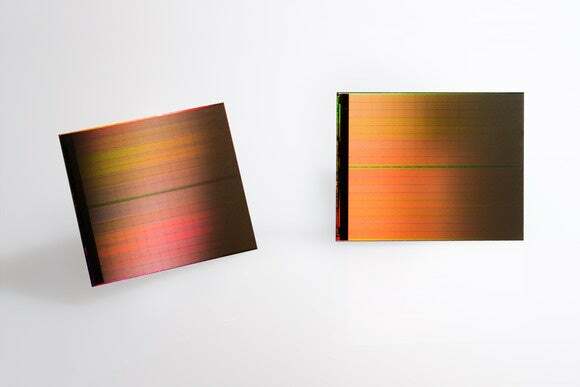 As proof of how far they’ve come, Intel and Micron also showed off an actual wafer made up of 3D XPoint. The new memory will likely require a rethinking in how traditional PCs are design eventually as today’s SATA and its replacement would be too slow. Intel’s Cooke said that’s one of the reasons Intel has been pushing the industry so hard to support such technologies as NVMe.